Nice Place to Livesubmitted by Lisa G. - Mar 01, 2019 |Recommended: YesInhabit on 7th is a great place to live, nice apartments in a great location. Amazing location and clean environmentsubmitted by Desiree R. - Feb 28, 2019 |Recommended: Yesthese apartments are great for someone a couple who is on the go and always looking for something new to do in their area. the apartments are extremely clean and updated, and while you cannot expect a perfect place with no issues when moving into apartments, this complex comes pretty close. it is quiet and well kept. laundry and grass areas are always clean. and the amount of things you can do in the area are endless. i have enjoyed my time here and i would recommend it to anyone. I love itsubmitted by Allison E. - Feb 28, 2019 |Recommended: YesGreat location, great maintenance managers, great property manager, lovely property, awesome interior. Well kept, and quiet for a apt complex.submitted by Paul T. - Jan 24, 2019 |Recommended: YesGood neighborhood, shopping and restaurants abound. Quiet, adult complex.Kudo's to Ms. Miner, asst. manager for handling the little glitch's that do occur. Decent place to live.submitted by Said M. - Jan 10, 2019 |Recommended: YesIt’s a really beautiful place to live. The design is not to good. Hard to find, hard to pull into the entrance. A few things need adjusting but, livable. response from property - Oct 03, 2018 Collin, Thank you for your review! 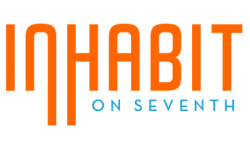 We are glad that you made Inhabit on 7th your home! I love living heresubmitted by Richard S. - Jul 26, 2018 |Recommended: YesIt is so great being in this location in central Phoenix. It is very close t many restaurants, bars, and shopping, and the Melrose District. THE PROPERTY ITSELF IS GOODsubmitted by MARIA V. - Jun 27, 2018 |Recommended: YesIF THEY LIKE HAVING THE NOISE INSIDE YOUR APARTMENT ALL DAY NIGHT INSIDE YOUR APARTMENT, FROM OUTSIDE BARS, RESTAURANTS, TRAFFIC, ECT.. THEN I WOULD RECOMEND. IM ONLY SPEAKING FOR THE APARTMENTS THAT ARE INFRONT, NOT SURE HOW MUCH NOISE GOES TO THE BACK OF APARTMENTS. Great property in a great locationsubmitted by Jordan W. - Aug 02, 2017 |Recommended: Yesnice and quiet with a neighborhood feel.location and price cannot be beat. Best bang for your bucksubmitted by Richard S. - Jul 04, 2017 |Recommended: YesI really enjoy the complex overall The renovations to the units make them a Hidden Gem and they're in the heart of Uptown which is a huge plus. We haven't had any issues with any noise or parking which is nice. The hardwood is nice and solid so it doesn't creek when walking through the unit. Staff is very helpful as well as knowledgeable when asked anything. The price of the units are great and being that electricity is included is a double hitter We would recommend any of our friends to consider Inhabit. Cheers.